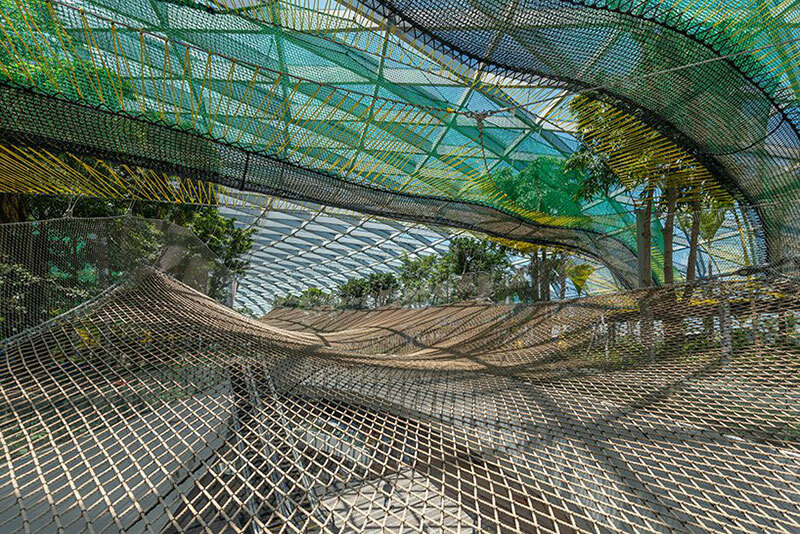 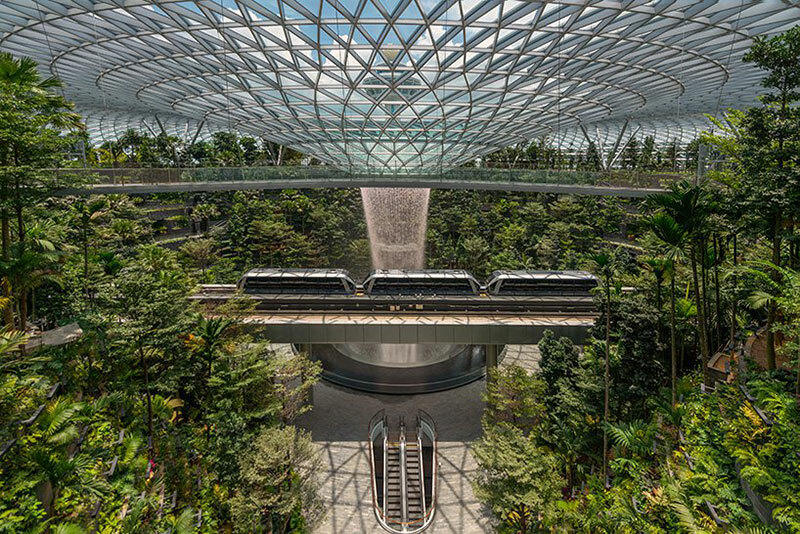 The new central connector between the existing airport terminals at Singapore Changi Airport is set to open on April 17, 2019. 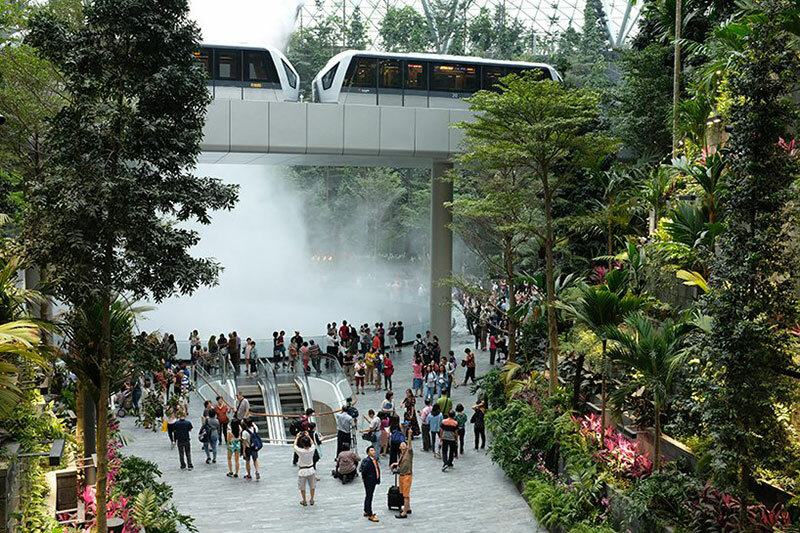 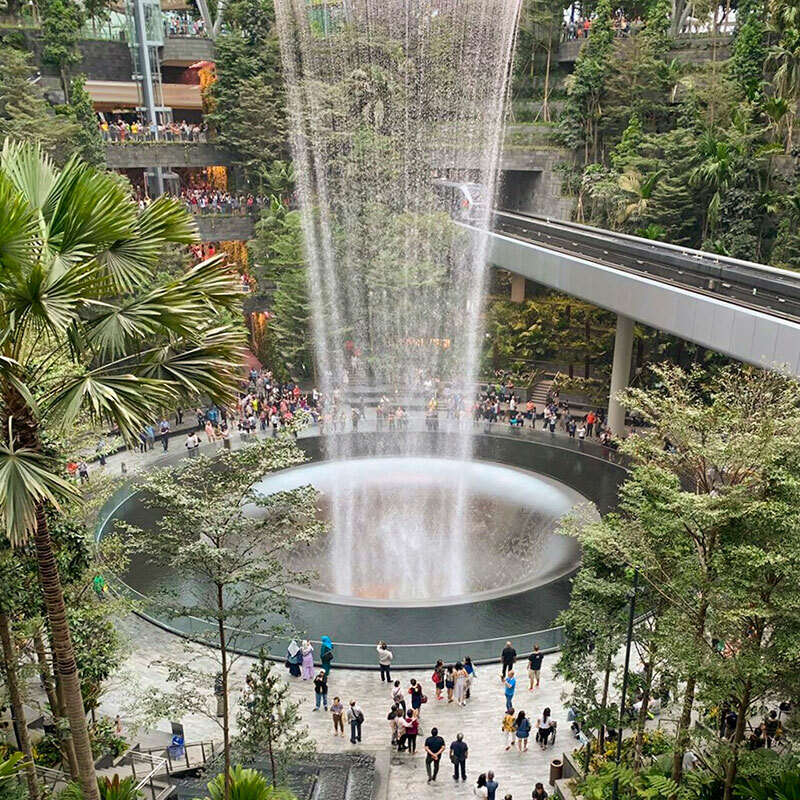 The 10-story Jewel Changi by Safdie Architects is a mixed-use development with the world’s tallest indoor waterfall as its centerpiece surrounded by the Forest Valley, a terraced garden attraction that offers many spatial and interactive experiences for visitors. 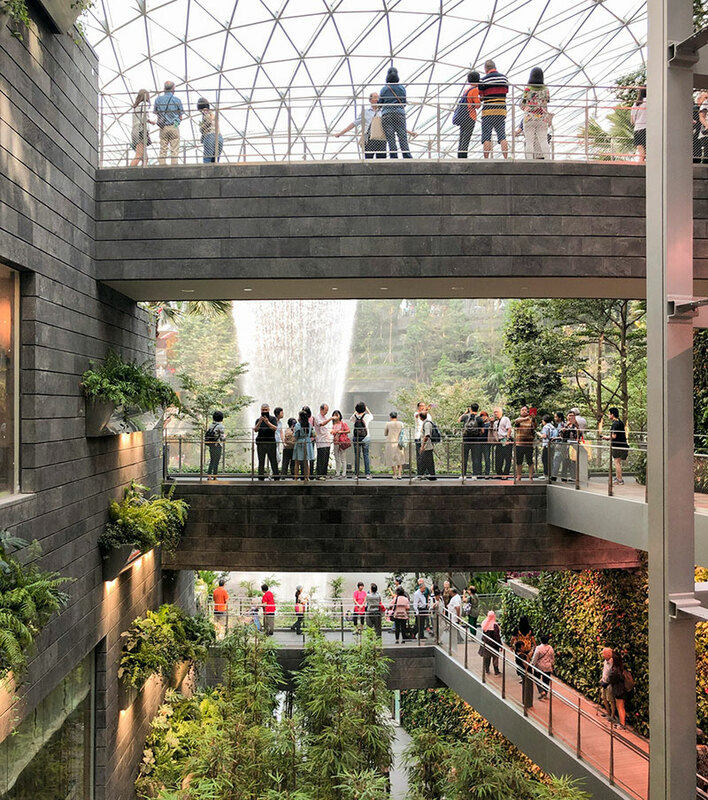 Around the garden are more than 280 stores and restaurants on five levels, which features access to the garden via a series of vertical canyons. 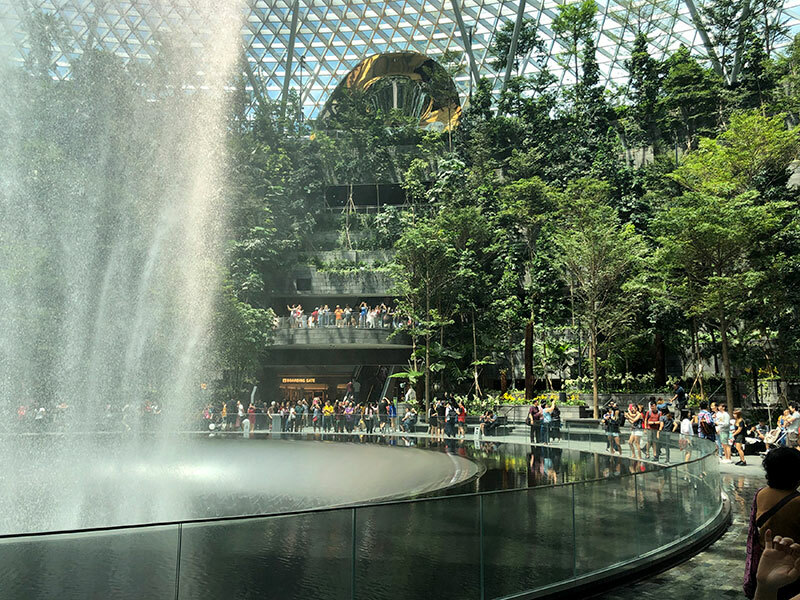 At the apex of Jewel’s glass roof is an oculus that showers water down to the center of the building at more than 10,000 gallons per minute during peak conditions and transforms into a light and sound show in the evening. 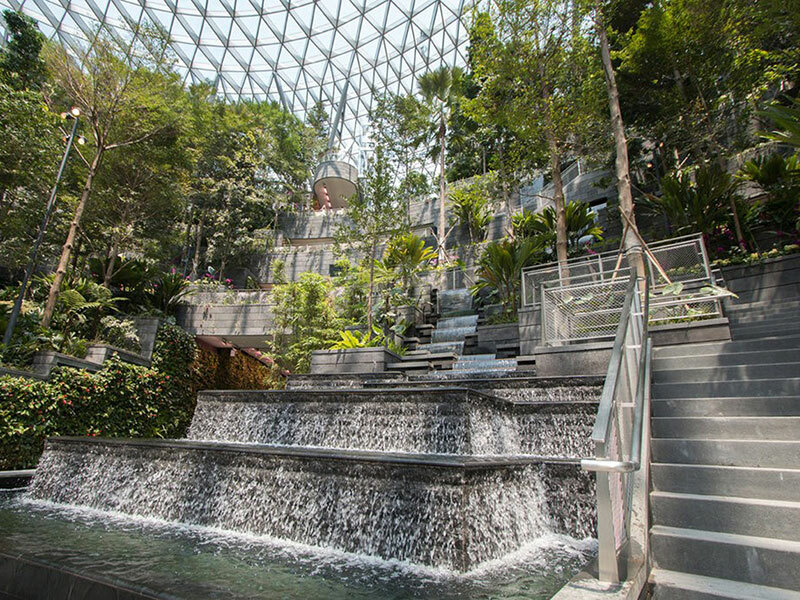 Jewel represents an innovation in the world of lifestyle/retail design, with a one-of-a-kind relationship between garden and marketplace. 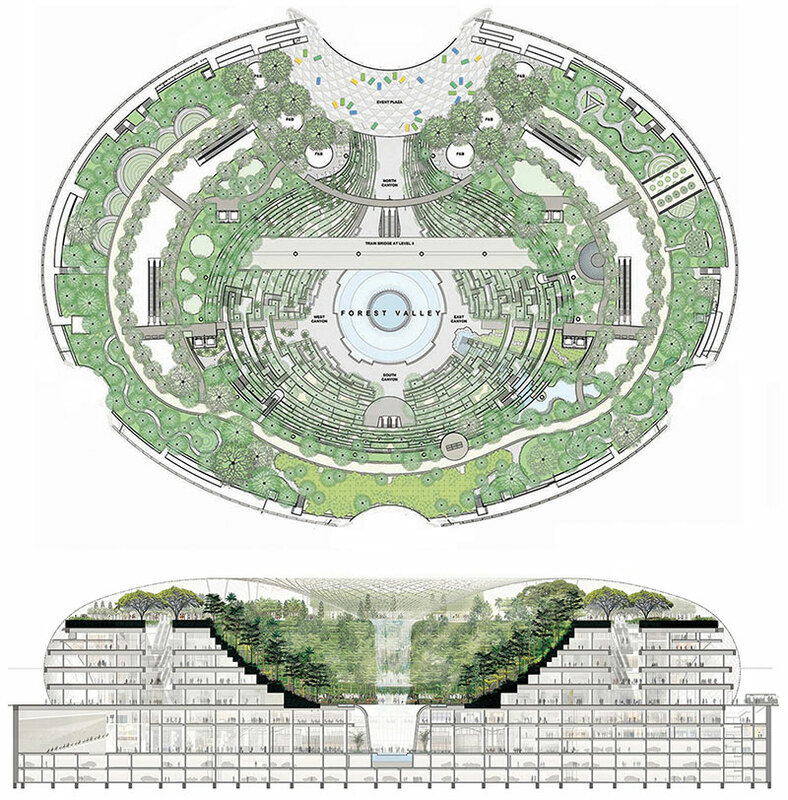 In addition, nowhere in the world has a building been constructed that integrates the public realm with an airport facility so closely. 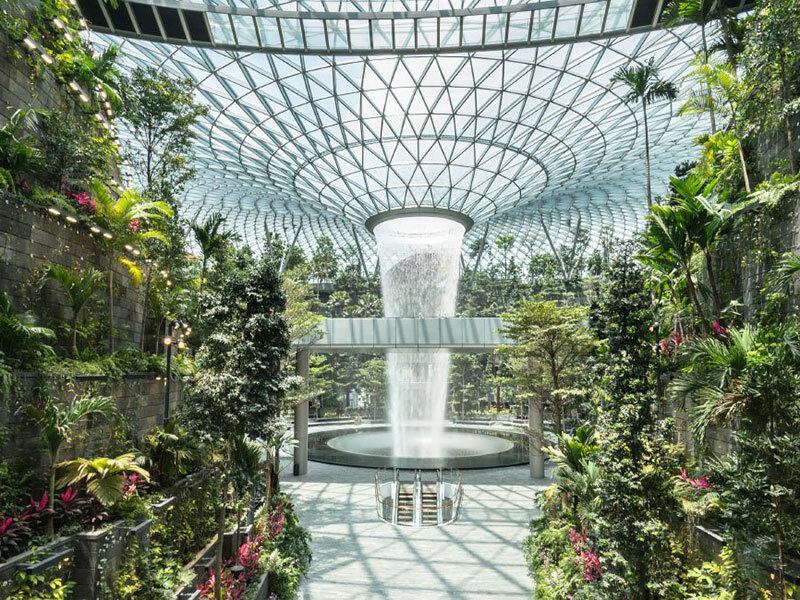 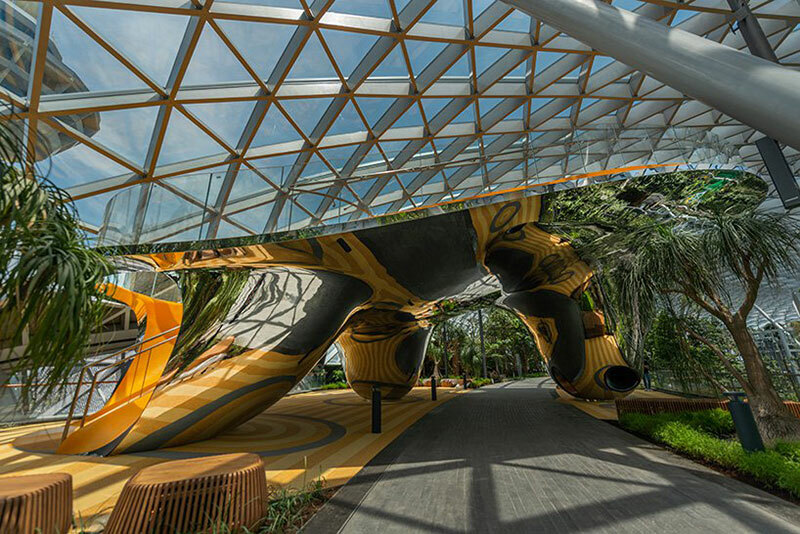 The building extends Changi Airport’s principal function as a transit hub, to a public gathering space for Singaporeans and international travelers, establishing a new model for airports as discrete destinations for shopping, entertainment, and social activity. 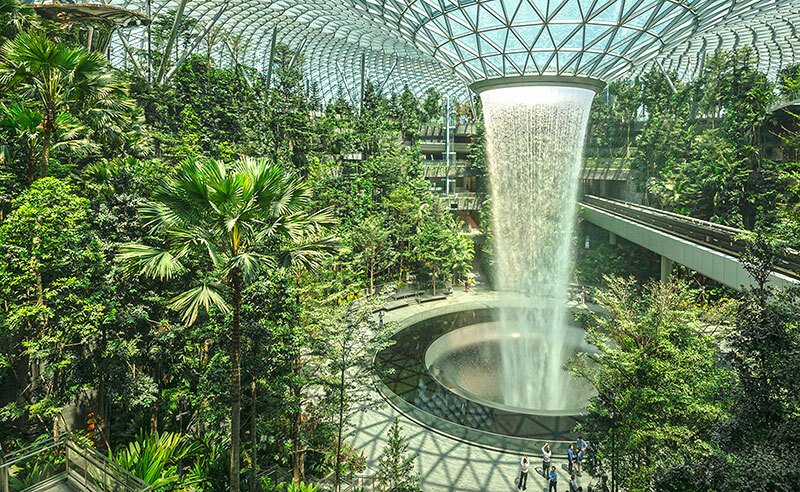 The 10-story Jewel Changi by Safdie Architects is a mixed-use development with the world’s tallest indoor waterfall as its centerpiece surrounded by the Forest Valley, a terraced garden attraction that offers many spatial and interactive experiences for visitors.